Why not have someone in your workforce with the skills to ultimately save you operational dollars? Learn how Doctrino Systems can provide your business with the training solutions and tools that help your employees gain the “knowledge power” to succeed in your business. 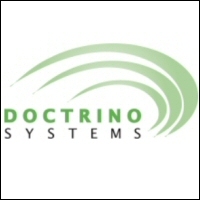 Find out more about the Doctrino Systems Training Program. Think you can't afford good security? Need a flexible IT infrastructure to protect your customer’s confidential documents and fully comply with corporate governance regulations? Need an IP-Security solution to secure the safety of people and places, to remotely monitor property and facilities? Find out more about Doctrino Systems Security Solutions. Benefit from our expertise and experience. Find out more about Doctrino Systems. Need help managing your orders or customer information? Find out how Doctrino Systems can help you manage your data. NEWS: Doctrino Systems Managed IT Service Plans. In today’s fast paced business world, your IT infrastructure's availability, stability, and adaptability are crucial to your business success. Our Managed IT Services allow your company to minimize downtime, decrease operating costs, and increase employee productivity and efficiency. Therefore, your employees can focus on their core business. Let Doctrino Systems collaborate with you to review your business goals and increase the value IT brings to your company. Find out more about how our Managed IT Services can help your business.